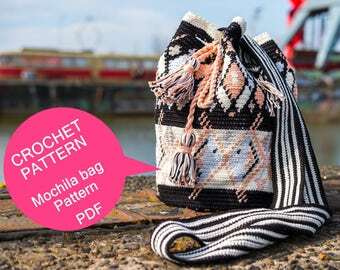 MochIla bag patterns, handmade boho jewelry and more. very easy download and great quality! Nicely written pattern, Thank you! 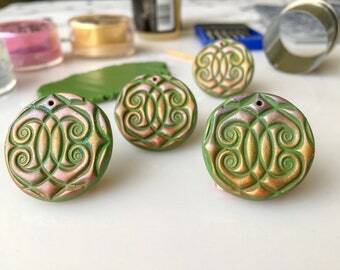 With all the materials on this photo I make the bead set, 4 round flat green beads. Except for the ‘pasta machine’ and the oven. I think I’m gonna make some more to make my own earrings. Perhaps with gold glass beads or soft pink. Wrap bracelet packed to go to New York. I'm sure she is welcome in NY! Still more memory wire bracelets in my shop, I love the oriental style colors. 2 Beads with 2 different ink drawings. I cannot make to identical designs by hand . When the ink is dry, accentuate with a black marker, 10 minutes in a hot oven, cool down and varnish the beads twice. The hot temperature changes the colors a bit. Handmade earrings for Gilda. 'Absolutely love, love, love them. They are so much fun'. So glad she likes them! Trying to find jewelry that shows me who I am and where I stand for, made me decide to transform my style into my own, down to earth but playfull, jewelry, accessories and fashion. You are so welcome to enter my creative world. And every day I’m looking for modern and old techniques to increase my design experience and to translate it for you. Every item in my shop is One of a Kind and all handmade by me. Every step in this process is done with the utmost care and attention to detail using only the finest quality materials. All of my work is beautifully crafted and cared for in my own little studio in my house here in Amsterrdam. Need some help finding things? If you have any questions about the process of producing any of my work, please don't hesitate to ask for more details! I hope you enjoy browsing through everything I have to offer! All the items in my shop are designed and made by me from scratch. I'm a solo maker. Each item is a true piece of art wear, sophisticated accessory for both casual and formal outfits, as well as a perfect gift. Please contact me if you have any questions about listed items or are interested in a custom order. I want your shopping experience with me to be a positive one! Please contact me if your package has not arrived within 4-6 weeks. If your order arrives damaged, please contact me within 3 days of receiving the package with pictures of the damaged item and pictures of the package it was shipped in. A full refund will be given only when the buyer provides these photos. If you are for any reason not satisfied with your purchase and want to return the item, please contact me within 14 days of receiving the package. A full refund will be given only upon return of items in original condition and well packed. Returns must be postmarked within 21 days of receipt. Return shipping cost is the responsibility of the buyer. My policies about the digital tutorials: there is no refund offered on tutorials because you cannot return a digital item. You can pay with iDeal, PayPal, Direct Checkout and Etsy Gift cards for payment. Within the European Union bank transfer (IBAN) is also possible. please contact me for my IBAN. Is made to order and will take 2-3 weeks to make after receiving your payment. But If I have the jewelry in stock I will send you an email and send the jewelry within 1-3 business days. Will be send to you, after receiving your payment, within 1-3 business days. Your purchase will be shipped in a sturdy cardboard box/envelope with our biggest national postal service, standard priority sending, without tracking. Please be sure you have a current and accurate email and shipping address on file. Always double check your order to confirm the address is correct. Refunds will not be issued for any purchase where the shipping address entered on the order is not correct. - within Europe it will take approx. 3-7 days. - International shipping will take approx. 3 business days up to 28 business days. Please note, the delivery timeframe may varies, especially during Holiday season like Christmas. And sometimes shipping will be late due to customs. The buyer is responsible for all duties and customs charges that may be incurred. My designs and photo's are not to be re-distributed, copied, imitated, or misappropriated in any way. All Rights Reserved. Handmade jewelry is delicate and should be handled with care. To extend the life of handmade jewelry, please do not wear them while you sleep, shower, or swim. There might be slight color variations due to difference of screens. Please note that these are all handmade items, thus slight imperfections are part of the character of handmade. Although they may be similar, no two items will be exactly alike. 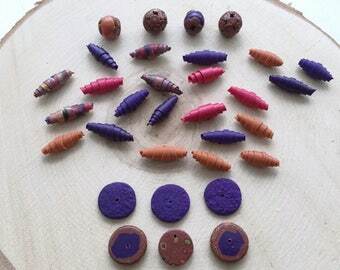 The crochet- and polymer clay tutorials are for personal use only. The tutorial (or parts of it) may not be reproduced, distributed, published, shared, altered or resold. I'm open for custom orders, just send me a message.